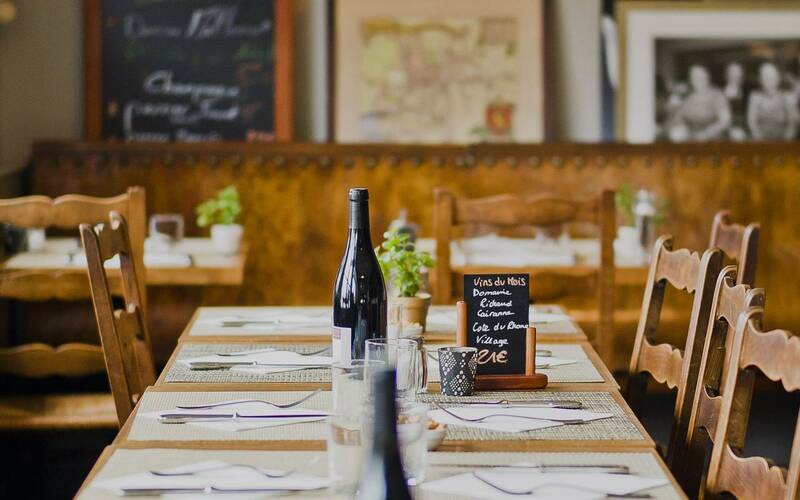 Discover the Bistro du Forgeron, where you can enjoy northern specialities in a friendly atmosphere. We keep one foot in the past, while remaining focused on modernity, with regional cuisine created each day with a maximum amount of produce from small local producers. Here, everything is home-made and you will taste the difference. Wine enthusiasts will also find something to please with a great selection of wine by the glass, along with a wide range of draught beer. Located on the ground floor, the bar welcomes you Monday to Friday from 3 p.m. You will find a wide variety of champagnes, wines and cocktails. The perfect spot to tickle your taste buds and celebrate great occasions. Don't hesitate to ask to be served on the terrace or even use room service.